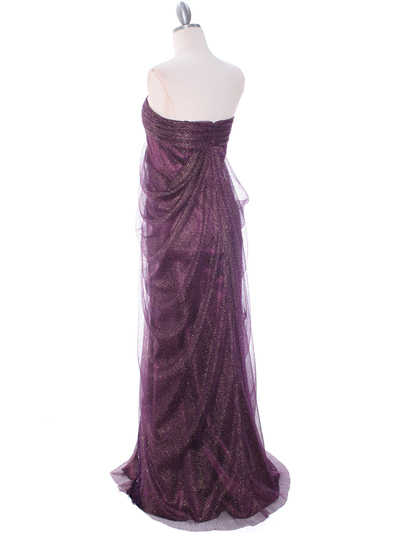 Eggplant Lace Strapless Evening Dress | Sung Boutique L.A. 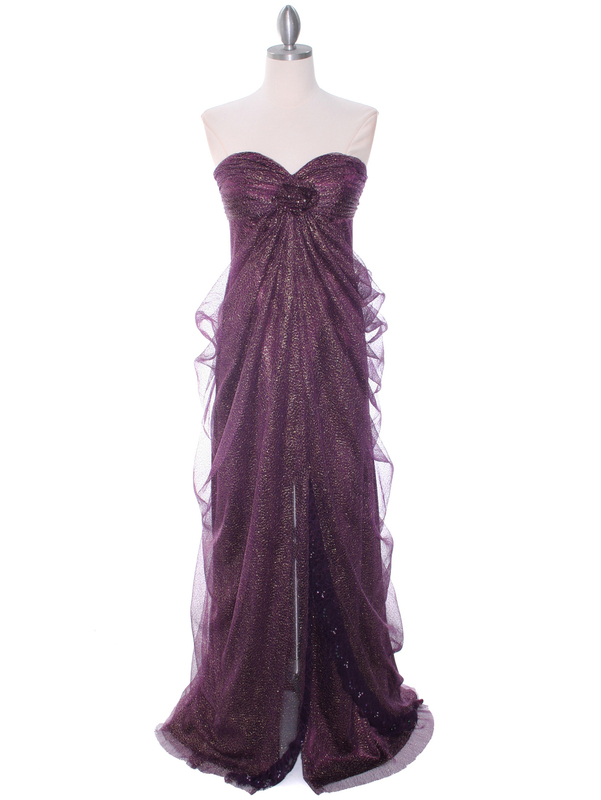 This sassy strapless evening dress features sweetheart neckline with a rosette adorns the front. Lace draped skirt with front slit finished the elegant look. - Approx. 55 in. from shoulder to hem.